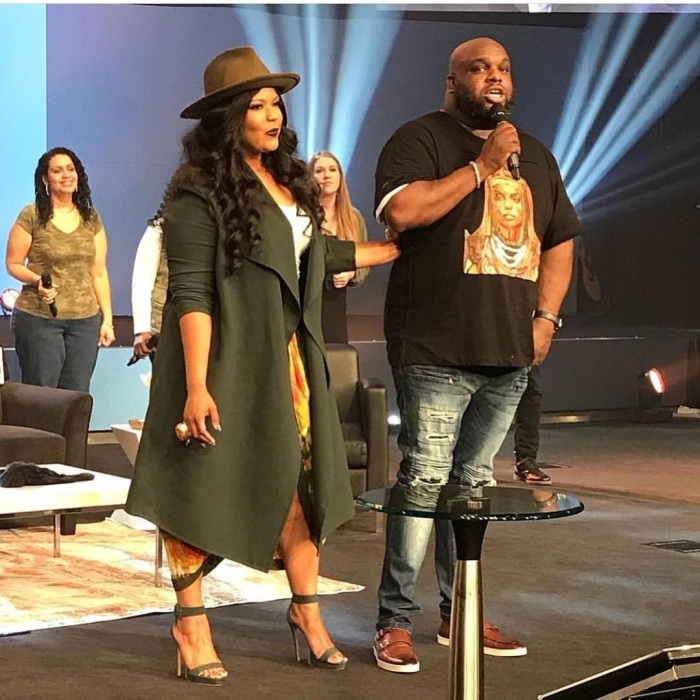 Months after megachurch pastor John Gray revealed that he and his wife were on the verge of getting a divorce, the couple announced that they will be hosting a relationship conference, billed “Align,” at their South Carolina church next month. “ONE OF THE MOST IMPACTING RELATIONSHIP CONFERENCES OF 2019! Join me @myrelentlesschurch and let’s bring in the New Year with a new you! Register for the @thealignconference happening February 7-9th, 2019. Married, singled or divorced, this relationship conference has something specifically for you,” Gray and his wife announced on Sunday via their Instagram accounts. The conference announcement comes weeks after the celebrity preacher, who leads Relentless Church in Greenville, was forced to defend his decision to purchase his wife a $200,000 Lamborghini Urus for their eighth wedding anniversary. Gray cited Ephesians 5 as part of the fuel that drove him to lavish Aventer with the expensive gift. It also comes months after he admitted to his church that he had marriage troubles. Last summer, Gray opened up about their marital challengesexplaining that for about two years they had been contemplating divorce. “What they didn’t see is that for the last two years we weren’t sure if we would even make it. This is what the people saw,” he said while fake smiling, “but they didn’t see the tears at night. They didn’t see the times when one of us was sleeping on the couch because the argument. We had to keep smiling because even though we were struggling and even though I was failing as a husband, I was already in front of the people and the people can’t receive my brokenness because where do leaders go when they bleed? Because sheep don’t do well with blood so I had to bleed alone,” Gray said.